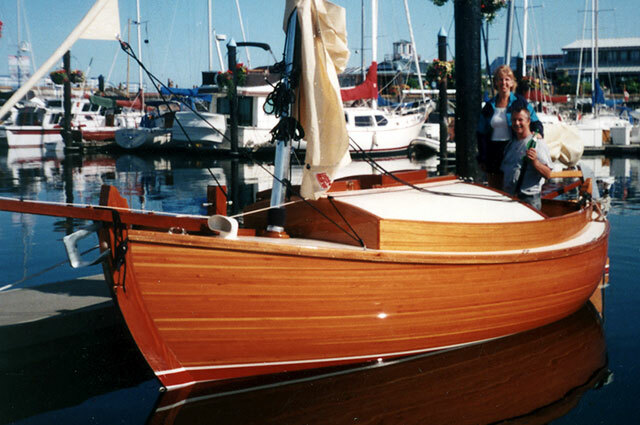 Steve Redmond designed this 20' Elver Canoe Yawl built by Jeff Waddington of Sidney, BC, Canada. 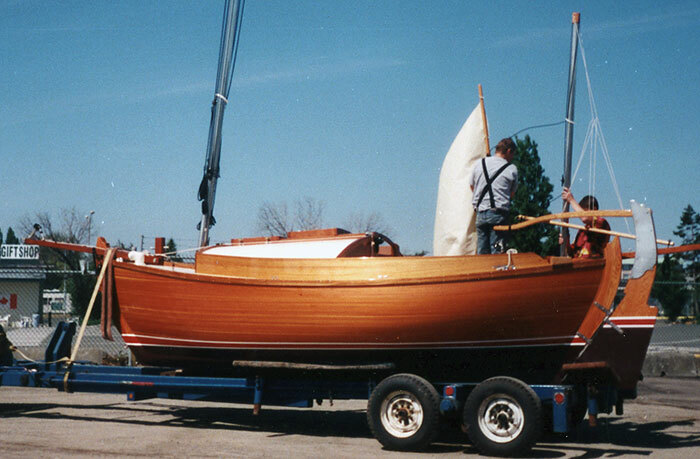 Launched Friday, July 13, 2001 Jeff sails her out of Port Sidney. 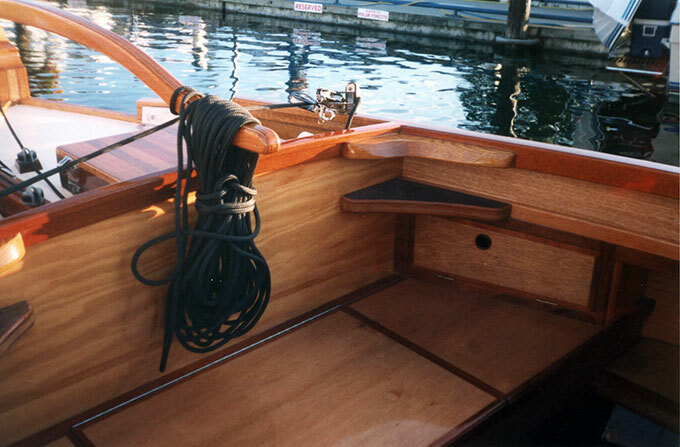 He writes that the hull is strip-planked Douglas fir, with epoxy and nails between strips. He used both Philippine and Honduras mahogany for the trim. Construction took him 5 years, working part-time.